Sometimes the name remains, even though the successful product changes. 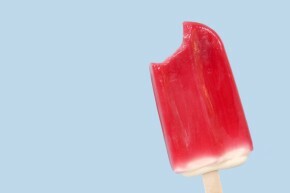 What was sold under the name ‘Langnese’ before the brand became associated with popsicles? Correct. In 1927 Hamburg native Karl Seyferth looked for a name for his ice cream production company. He bought the company and name from cookie manufacturer Viktor Emil Heinrich Langnese for 300 Reichsmarks. No. Langnese was not a beer brewer. Wrong. While it is true that the people behind the name ‘Langnese’ were from Hamburg, they had nothing to do with the shipping industry. 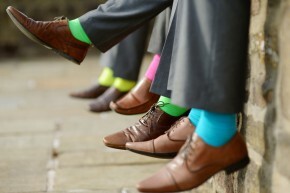 Franz Falke-Rohen, the founder of Falke, proved that it is possible to change occupations and launch an internationally successful company. What was his previous occupation? Correct. To earn more money, he also worked seasonally as a knitter. In 1895 he became self-employed and founded his own knitting factory. Wrong. Although he was a skilled craftsman, he did not work with wood. In 1874, Lothar von Faber, CEO and owner of the tradition-steeped company Faber-Castell, was working intensively on a new project. What was it? Correct! Faber sent a petition to the German Reichstag that year. It served as a precursor to a trade mark protection act in Germany. Sorry, wrong answer. 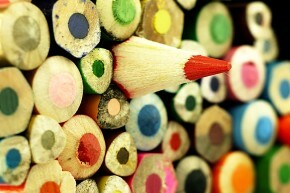 Colored pencils had been around since the early 19th century. Johann Sebastian Staedtler is credited with inventing the first colored pencils, which were based on oil pastels. No, American farmer Joseph Farwall Glidden obtained a patent for the invention of barbed wire in 1874. 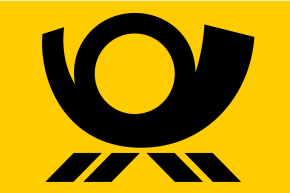 The post horn, the logo of Deutsche Post, is one of the most familiar trade marks. How long has the company existed? Correct! In 1490, Franz von Taxis was commissioned by Maximilian I, King of the Romans and eventual Holy Roman Empire, to build a courier network for the House of Habsburg. Sorry, wrong answer. Johann Jacob Schweppe introduced his soda water in London that year, a product that would become known and loved as Schweppes. No, but another famous company went into business that year, namely Allianz Versicherungs AG in Berlin. Meanwhile, names are considered meaningless from an economic perspective. It is becoming more and more common for companies to give themselves pseudonyms with no bearing on their trade. What is the core business of ‘Altria,’ for example? Correct. Altria had previously been called Phillip Morris Companies. Its most famous brand is Marlboro. No. The company is not involved in producing comfortable work clothing and safe workplace gear. Wrong. Although the nuclear lobby works to conceal its machinations, another lobby is at issue here. You take it as it comes. Who cares about a trade mark, as long as the product serves its purpose? You consider buying a product a necessary evil, not an emotional experience. You understand it in a completely different way than company marketing experts; for them it is a question not of trade marks but of people. You take a decidedly pragmatic approach. You only buy a brand-name product when it contains what it promises, and you check the shelves to see whether a comparable product serves the desired purpose just as well. You don’t waste your money on products that are all show. Congratulations! You are a true expert, and you understand what branding is all about. You are no doubt in possession of a large number of brand-name products. That makes you a perfect target group and a favorite of manufacturers. Have you ever considered a job in marketing?